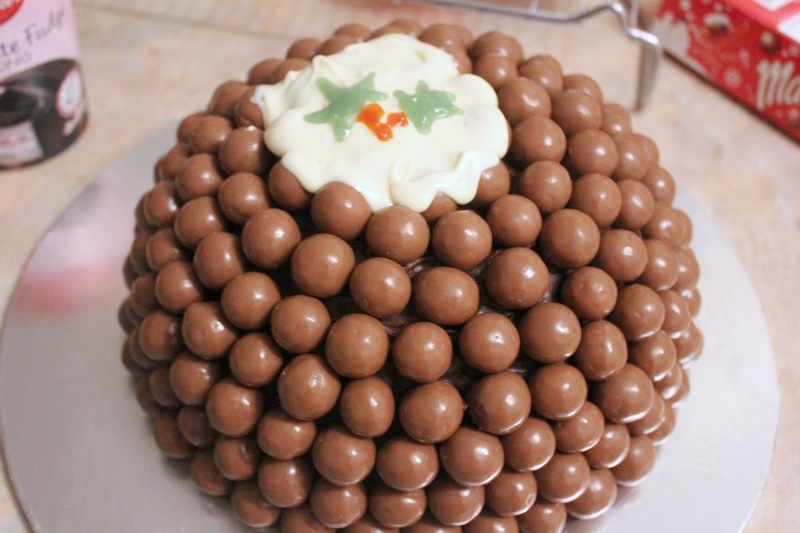 There's been a lot of amazing Malteser covered cakes going around recently and they've all looked delicious! So I thought why not give it a go myself and make a Christmas Pudding I'll actually love this Christmas. Plus you can add anything you like into the cake mix and make each one different, so for this one I've gone for a Chocolate Orange recipe. 1. Preheat the oven to 180ºC/fan160°C/gas 4. You'll then need to grease a domed tin. I then mixed the hot water and cocoa powder together, so that it made a paste, then adding it to all the other ingredients. 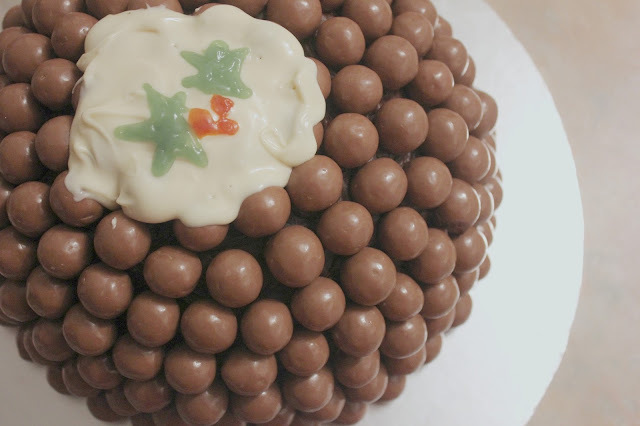 Minus the icing and Maltesers of course. Beating it until its smooth and ready to be poured into the tin. 2.I then baked the sponge for around 20-25 minutes, once cooled I popped it out of the tin and placed onto a wire rack. Once completely cooled I cut it into two and iced the middle, followed by applying a generous amount of icing all over the cake. I did kinda cheat at this part and used the Betty Crocker Chocolate Fudge icing, just so its that bit quicker. 3. Then you can go nuts and cover the entire thing in Maltesers, finished with a good helping of melted white chocolate chips on top too. Then to pull it together so that it looks that bit more like a Christmas pudding, just pipe on a few little leaves and some berries too! Now I'm off to dig into this! This looks soo good - hope you have a good Christmas! This looks delicious! And can definitely be customized for other occasions (Easter for sure). Thanks for the recipe!